Who doesn't love a 1 of 1? I actually know some people don't, but I sure do! Especially when I pull them from packs! Some of these cards have never been shown online before. I will try to put them in the order I got them, and give the story behind each one. My first One of One, I didn't even really know what it was when I first looked at it. While I had pulled numbered cards before this, and I knew they were making 1 of 1s by reading Beckett, I guess I really should say that I was incredulous that I had pulled one...from a single pack purchase no less! My only Elton 1 of 1, for now. I purchased this one, and it's the most I've ever spent on a single card. 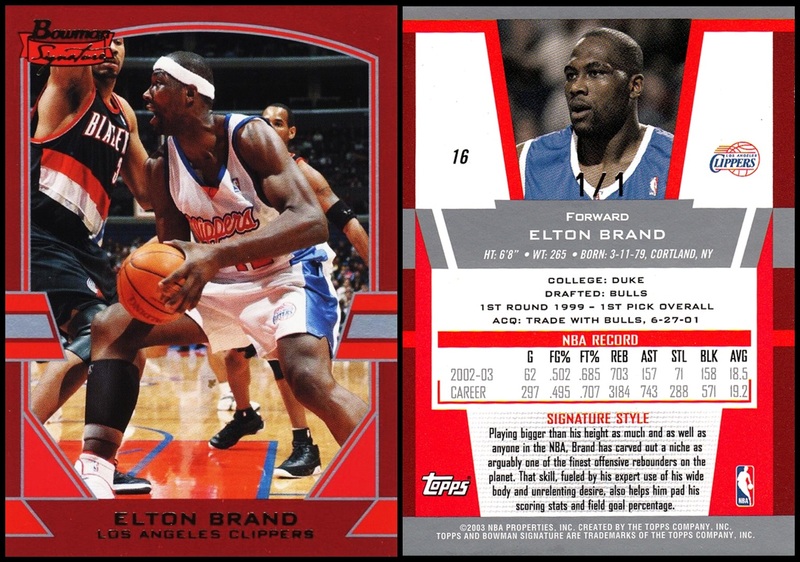 For years I was unable to figure out the story of this card- the 1 of 1 from this set is red for veterans but blue for rookies, Beckett and everyone else just refers to them as blue. 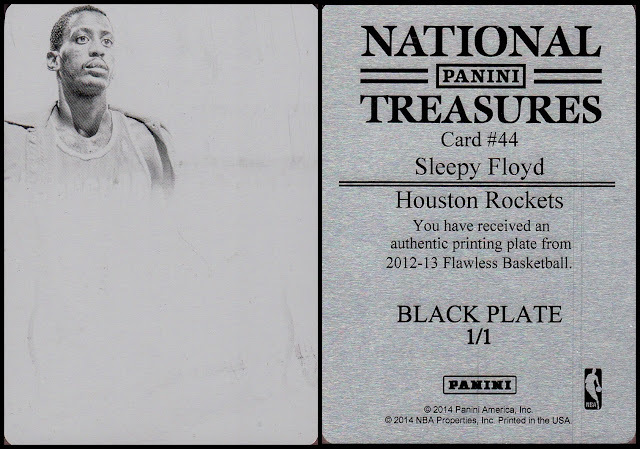 My first printing plate! It started off a stretch where I got 3 one of ones in a short amount of time. I got this one from a box I purchased, and I actually opened the box in New Jersey. It is the only box I ever opened in the state. It remains the only 1 of 1 I have from my favorite team. Pulled from a box I did of the set. The scan is not particularly good and I will probably rescan it when I get it out again. It threw me at first because I thought it was numbered 10 of 10, until I realized it was actually a 1 of 1. Perhaps the least creative name for a parallel ever, I pulled this one from a single pack purchase. To make it slightly more interesting, I opened the pack in the shop and got to show it off there. This was when the set was new in 2005, and would be the last NBA 1 of 1 I pulled until 2016. Some of my scans were lost when my remote hard drive died in June 2016, the back scan of this card was one of those lost. 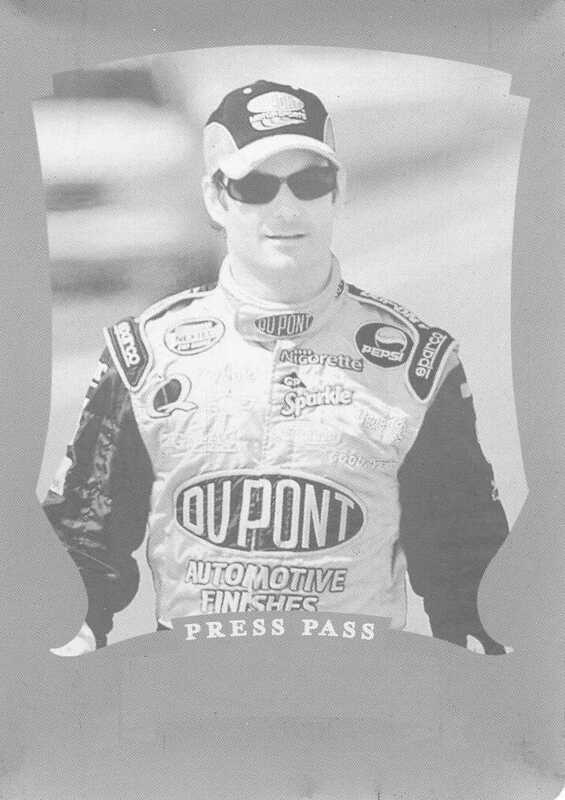 I pulled this from a box I got for Christmas 2006, and it is the only NASCAR 1 of 1 I've ever pulled. Jeff has always been a favorite of mine, so that was pretty darn awesome! 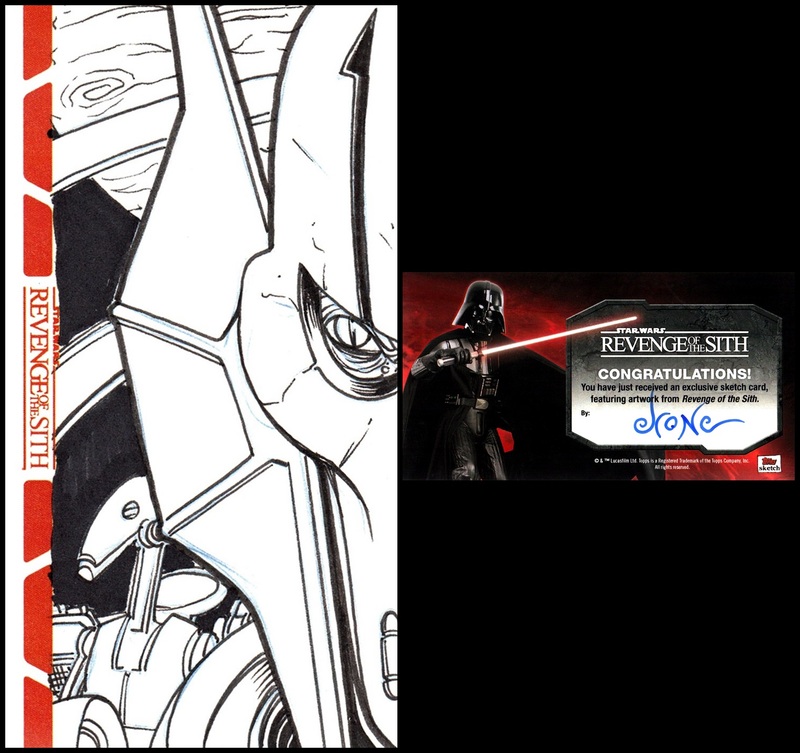 My first sketch card...each sketch is different and these are now the "big deal" in non-sports cards. They are each considered 1 of 1 although there are some sketch artists who do very similar sketches. While I've since pulled 5 sketches, my brother actually pulled this one and gave it to me. 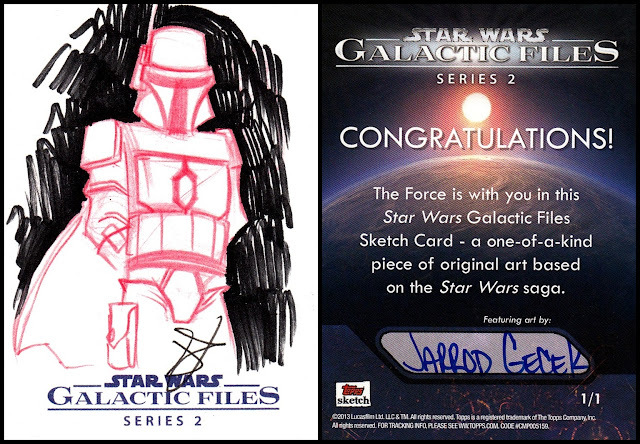 While sketches are 1 of 1, they are usually 1 per box as well. 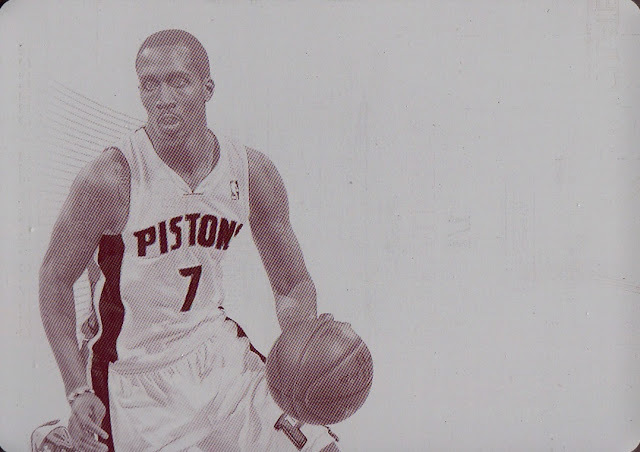 Dan Day is the artist on this one. My only back plate and my second and final 1 of 1 from NASCAR. My Mom gave me this one as a gift. 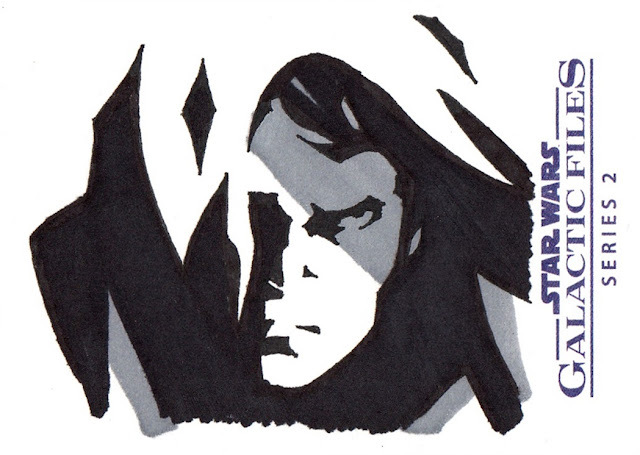 Most Star Wars sketch cards are known for being lackluster- 99% of them are black and white. This one, being full color, is considered a premium sketch card from a Star Wars set. I never watched the cartoons this character was from, but it's still cool to have. This card narrowly avoided being destroyed in the flood of 2/5/15. The box I had it stored in took damage and I lost other cards from the box, but luckily we were able to get this one before the box took any more damage. Pulled from a hobby box I got for Christmas. You can see what I mean about the lack of color on most Star Wars sets. This is more than most and it's got a total of 2 colors. I got a box of Series 2 for Christmas the year after Series 1 and this was my sketch in the box. I purchased this one on Ebay. I just happened to be checking ebay, saw it was ending for cheap, and put a bid on it. That was enough to get it into my collection. 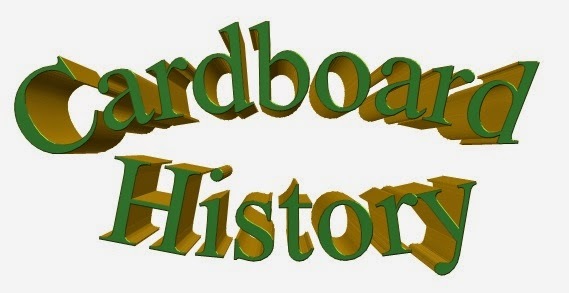 It doesn't matter to me who the subject is, if I can afford to add the card to my collection, I will. 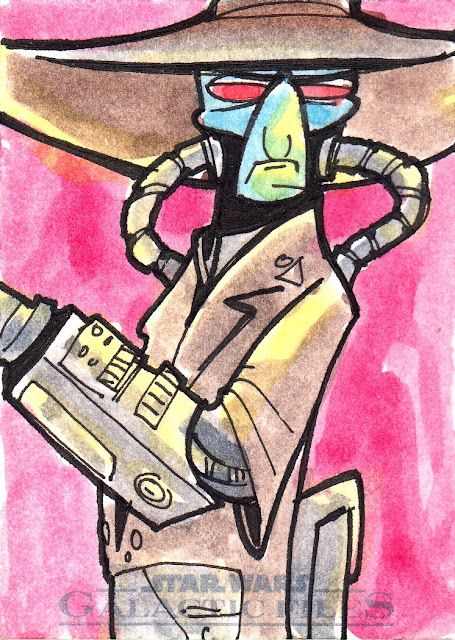 Only one color, but this is my favorite of the 4 Galactic Files sketches I have. I purchased some packs at one of our local shops- the same one that actually yielded the Willis Reed almost a decade before- and pulled this one. The shop rarely does cards anymore and hasn't had any since this set. The same day I got these I also got a sail barge relic piece from a different Star Wars set. I have no idea of which artist this is. Brant Egelson is my best guess. 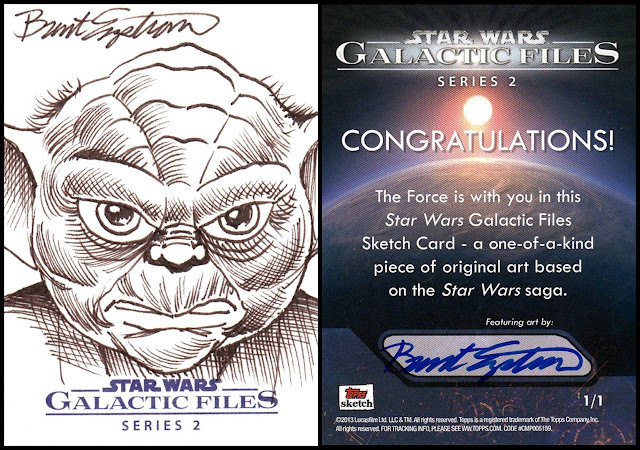 When I had the flood mentioned earlier, I lost some of my Galactic Files cards. Well, Dave & Adams put them on sale during the Black Friday sale last year, so I got another box in the hopes of replacing what I lost. I did, and pulled this sketch. Lost the back scans when my remote hard drive crashed in June 2016. The box also gave me a Jeremy Bullock autograph so it worked out well in the end. 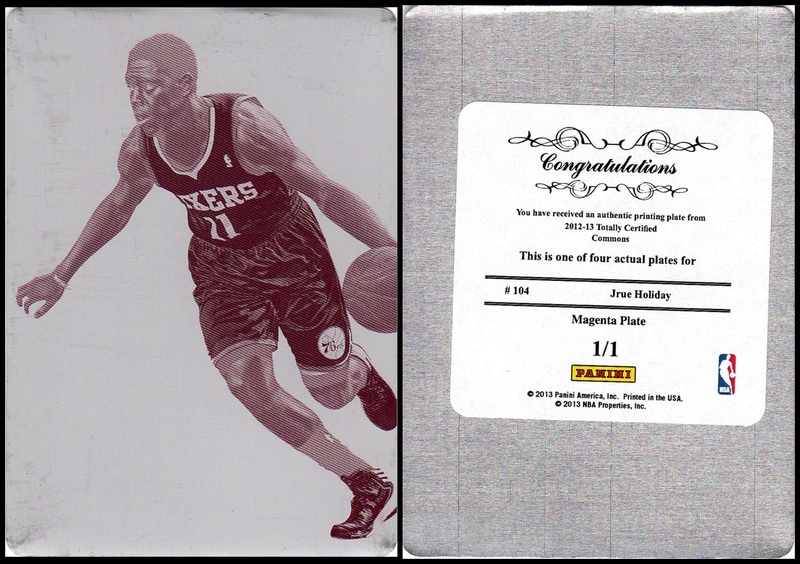 This "tall-boy" sized set was an online exclusive in 2015, each set guaranteed a sketch. This was mine. Once again, it was single color. And also once again, I have no idea who the artist is. I don't remember which set this one is from. The back scan with the information was lost, and the front scan is kind of crappy, too. When I get it back out I will rescan it. 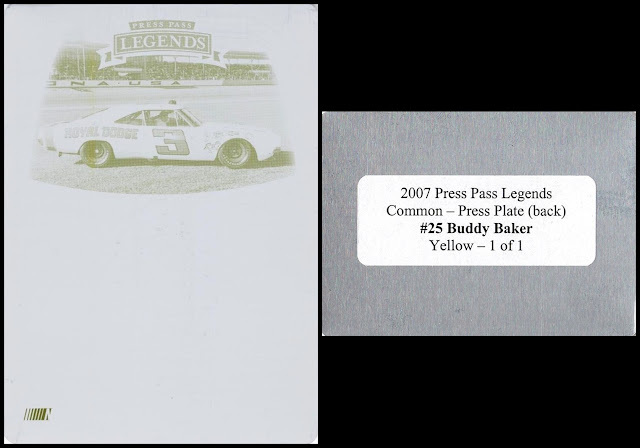 Another unremarkable printing plate from a set that I can't remember without seeing the back. 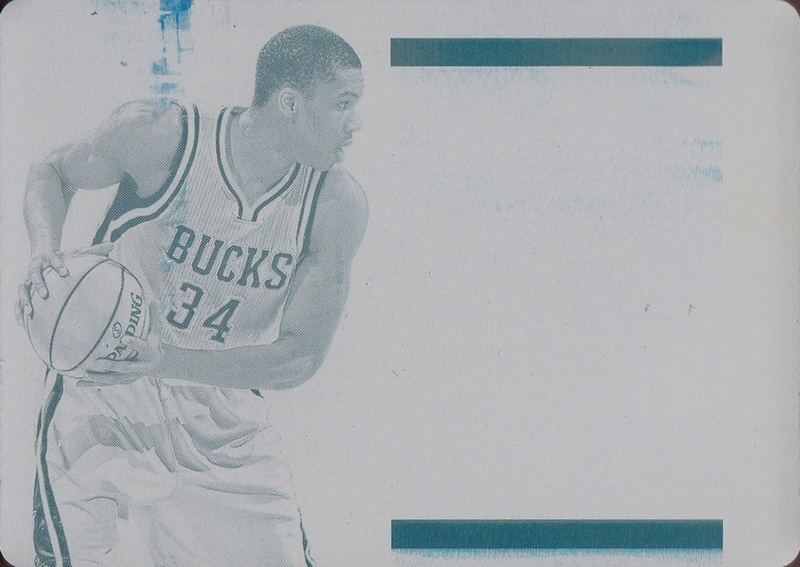 I was surprised this Giannis Antetokounmpo was cheap enough for me to be able to afford it- I think I got it for under $10 on one of the Facebook card groups. A steal, for sure. It seems like they put plates from previous sets into Flawless. It leaves me kind of confused- It's got the National Treasures logo, which is one set, it says it's from 2012-13 Flawless, but it's copy-written 2014? OK, whatever you say Panini (lol). 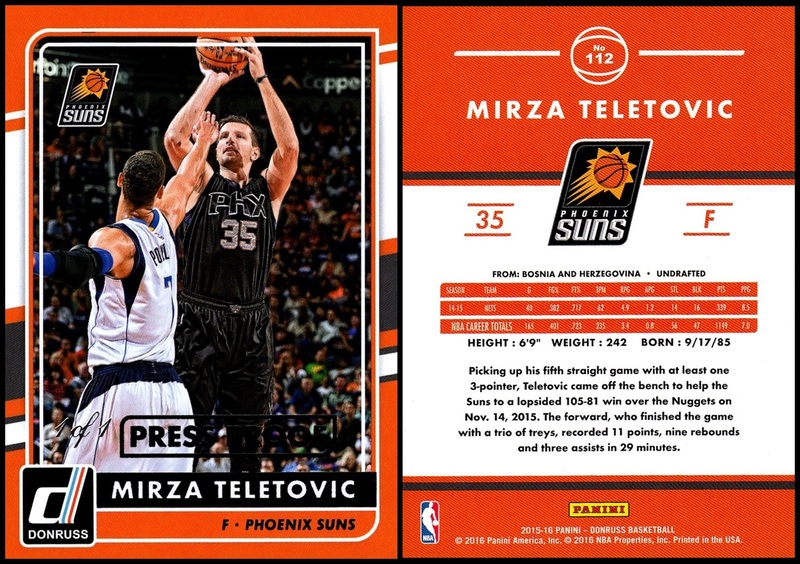 I needed a card from 2012-13 Flawless, and when I was doing the project where I got whatever I could get cheapest from the sets I needed on COMC, this was actually the cheapest...which I didn't expect, but I certainly didn't complain about getting a 1 of 1 in the project! I pulled this one! 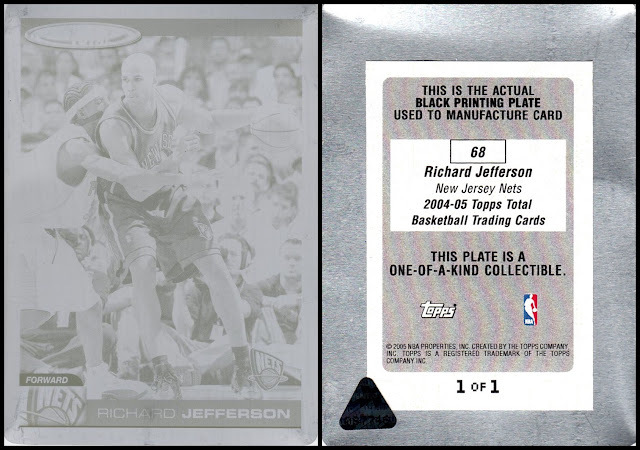 First NBA 1 of 1 I had pulled since 2005, I was pretty darn thrilled to pull this one. 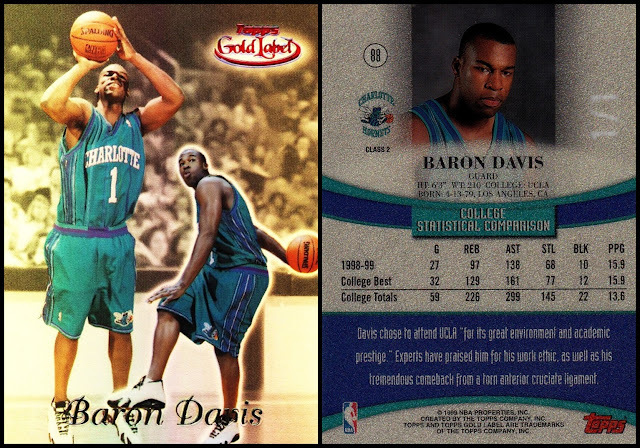 I loved the Donruss set, and he's a former Net. And I pulled a 1 of 1, I mean, it doesn't get much better than that! Cool! I like the Yoda sketch but usually am not crazy about sketch cards. I know you like the press plates....you have good luck finding things.